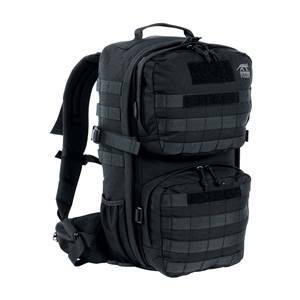 Small, universal combat backpack with elastic side pockets. The backpack has a MOLLE system on the front and sides. Shoulder and hip straps are detachable, so the backpack can also be adapted to waistcoats. - Ergonomically padded back with aluminum support elements. - Ergonomically formed, padded shoulder straps. - Detachable hip fins with zipped pockets. - Side pockets made of an elastic material. - Small mesh pockets inside, for storage of small parts such as batteries, etc. - Two front pockets with zipped compartments. - Front and side areas with MOLLE system for optional attachment of additional pouches. 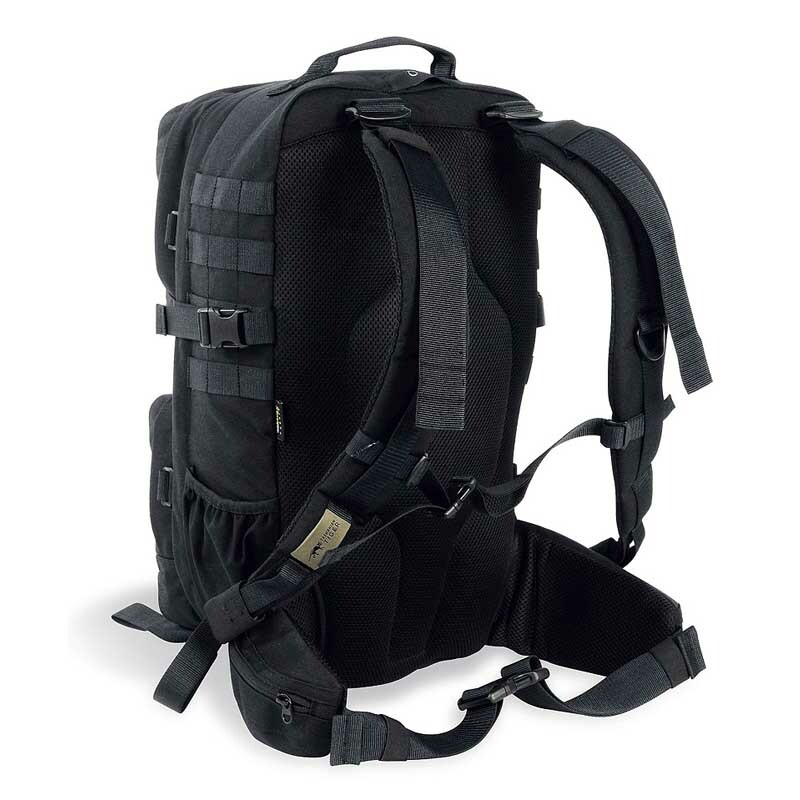 - Length adjustable shoulder straps make carrying large body armour possible.